A modern take on spring bulbs. 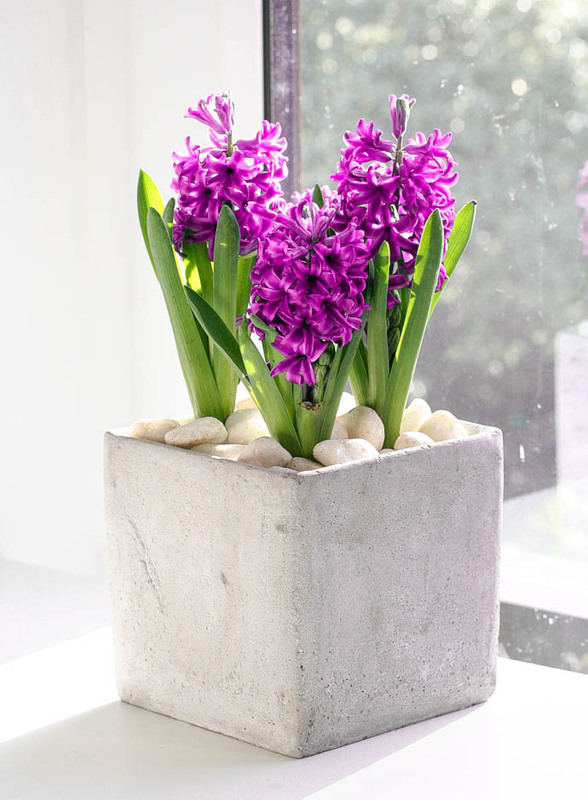 These cement planters look amazing dotted around the house and the vibrancy of the pink hyacinths will brighten up a shadowed corner of your office. After the bulbs have flowered it is very easy to replace them with a beautiful plant for the summer…and if you are not feeling green fingered just bring them back to Garland and we will replant them for you.